I don’t know about all of you, but as I get older I don’t seem to have the same amount of drive or the same “get things done” attitude I did years ago. Now, I know that I needed to have a meeting of all the Wine Club Partners but just seemed to put it off. A week ago Wednesday night we held the first ever (after about a year of planning) Tiedemann On Wines Wine Club partner’s meeting. It seems strange that we haven’t had this sort of meeting before but with everyone’s busy schedule (this seems like a reasonable excuse) it has been difficult to get everyone together at once. 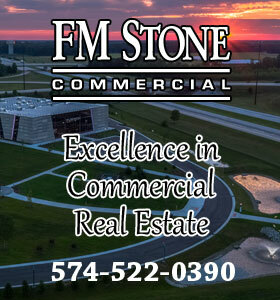 Attending the meeting were Dennis and Merril McCarthy and Tom Borger of McCarthy’s on the Riverwalk, Jonathan Lutz of Uptown Kitchen and The Mark Dine & Tap, Pat Lucchese of Lucchese’s Italian Restaurant, and myself. In planning the meeting I wanted it to have the same characteristics as one of our wine tastings. Taste some good wine, have some small plates of food and have good conversation. That is what we strive for in our tasting events. It was a fun and interesting evening and, of course, we had some good wine to taste throughout the meeting, along with some small plates of food to share, compliments of McCarthy’s. We enjoyed crab cakes, McCarthy’s chips and dip, and lamb sliders to name a few of the delicious plates that were passed. With this great group of folks, food and wine it was, at times, difficult to focus on the business at hand: the further development of the Wine Club. 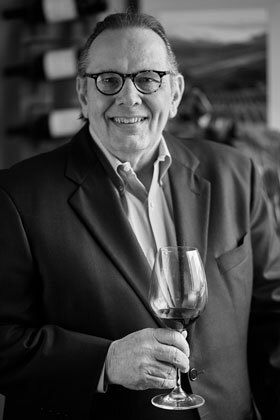 At times we got off track and had discussions about such things as kids and hockey, upcoming trips and at one point we were discussing Merril’s father Don Mossey, a successful Elkhart businessman who was an early connoisseur of fine wine. Not only that but in the “it’s a small world” category, my mother worked for Don at one of his early ventures Homette Mobile Homes, here in Elkhart. We did however achieve a lot of Wine Club business including confirming an upcoming schedule of Wine Club events. We are planning 11 wine tastings between now and the end of June. More about these events in a minute. 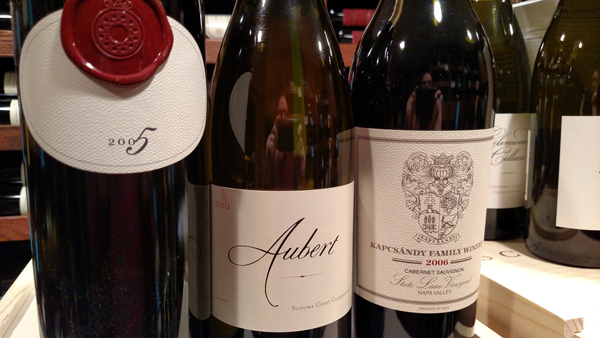 As I have mentioned in the past, Wine Club events are an excellent opportunity or perhaps an excuse, to get folks together to drink great wine, educate yourself on the various types and kinds of wines, and to meet new wine-passionate people. Plus you can just have a good time. We have a great set of events planned over the next few months. For example, last week I was speaking with Summer Lewis of Iechyd Da Brewing company and happened to ask her when we were going to do a craft beer and wine tasting together. This is something Summer and my daughter, Elizabeth Carris, had been discussing. After a little conversation I mentioned our Wine Club and asked her if she would be comfortable using this venue for a combined event. I suggested that I schedule a couple and see if the dates worked for the Partners and then get back to her. I know that Jonathan Lutz has done this type of tasting several times and it seemed to be well received. At his events, they let the guests vote on each of the food, beer and wine pairings to judge which was the best paring. The tasting I attended was great fun. So, when I mentioned doing a beer and wine event the partners quickly said “Yes!” The next day I called Summer to confirm the dates and told her of the aspect of voting and she quickly rose to the challenge and suggested we plan a best of three competition. Sounds like she has dropped the gauntlet – Wow! This should be great fun for everyone. I know that Chip and Summer make some really good craft beers so I may have to pull out the stops on this one. I mean wine’s honor is at stake here!! How fun. Wine lovers be ready. So all of you Wine Club members and wine blog readers save these dates and get ready for some great wine, food, friendship and, oh yes, some craft beers brewed by Iechyd Da Brewing Company. 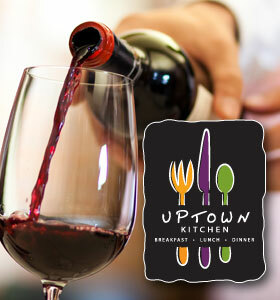 March 18 – Uptown Kitchen featuring Eric Kent wines CANCELLED! TO BE RESCHEDULED! Not a Wine Club Member yet? That is easy to fix. The next time you are at one of our participating restaurants, ask your server about the Wine Club and they will give you an application. There is a one-time cost of $10.00. Or you can send me an email or comment below and I will see that you get the application. What are the Wine Club benefits available to members? 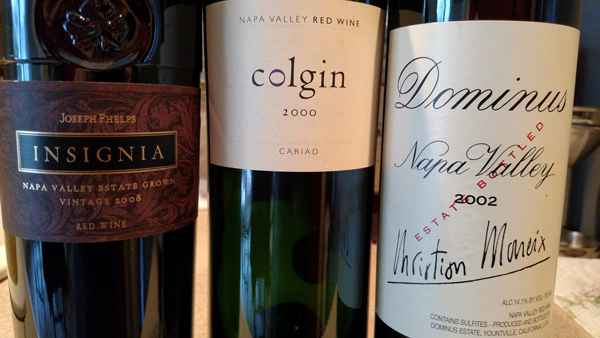 One of the items I wanted to accomplish when I started the Tiedemann On Wines wine blog was to leverage my Napa Valley relationships and bring a slice of the Napa Valley lifestyle back to the Midwest with a particular focus on my home market area. Up until now I have accomplished that by reporting on my activities while in Napa on my wine making trips and posting reviews on Napa Valley wines I have enjoyed. For some time now, I have been working with Didier Loustau and Susan Quinn, founders of ToutSuite Social Club in Napa. The ToutSuite Social Club allows its members and viewers to connect and interact in real time with brand makers such as winemakers, sommeliers and celebrity chefs, and provides coverage for area events including the Napa Valley Film Festival. This is Napa Valley live right on your flat screen. In coming weeks we will be posting, once a month, a video interview between myself, Didier and a special guest. We’ll cover a range of topics from what’s happening in Napa to who is currently the hottest winemaker. If you have topics you would be interested in, comment below or drop me an email with your thoughts and we will do our best to make it happen. Also let me know what you think of the idea of watching a video. Is it of interest or not? I always want your opinions and comments. In addition to the video interviews, I hope to start posting future ToutSuite shows that I think will be of interest to all of you. You can watch these shows live on the ToutSuite website. You can always check out their website anytime you like by going to http://www.toutsuite.com. Wow, Carl…you have been busy setting up all of these tasting events. Hope to make it to a few of them now that we are finally (more or less) settled in here at Greencroft. Looking forward to tasting some new and different wines…and beers too. Sounds like great fun. We have been busy planning lots of special wine events for everyone. Looking forward to seeing you at some of them. I think we have some great wine lined up to taste. Sure enjoyed the wine club event at McCarthy’s. A great way to spend a few hours with wonderful folks, great food and great wines. You asked about topics your members might be interested in. Here’s my list: friends, food, wine. Perhaps better said would be great friends, great food, great wines. You’ve never failed to produce all three at your events. I look forward to the next 11. Tom: We sure appreciate your support of our events and it was good to see you. Glad you enjoyed yourself. Good friends and wine make for a great evening. See you soon. Another great post Carl! We have enjoyed our Wine Club Membership…found it to be valuable and very much enjoy dining at all your partner restaurants! I’ll look forward to the video interviews. I suggest that we put together a sporting clays event at Deer Creek or Back 40 with a bottle of one of the Tiedemann wines to the best shooter! Of course Mr. Tiedemann rarely misses, so he will have to recuse himself. We will let you “Pull” the Corks though! RT: Glad that you are enjoying the benefits of our Tiedemann On Wines Wine Club. Look forward to seeing you and Jules at one of our wine tastings soon. I am ready for some sporting clays any time. I need to shot that new shotgun I showed you. That 28 Gauge is a sweet & physically beautiful shotgun! I’d like to run a box of shells through it as well. Carl, FYI. The ToutSuite hot link doesn’t take me to their site. Not sure where the problem lies. Had a good bottle of 2011 Glenwood Cellars Cabernet at McCarthy’s last night. Thanks for the heads up Mr. Miller. The link has been fixed! You can check out the ToutSuite site now!